The Sub Divide features a combination of complex hand and machine binding processes by The Bindery. 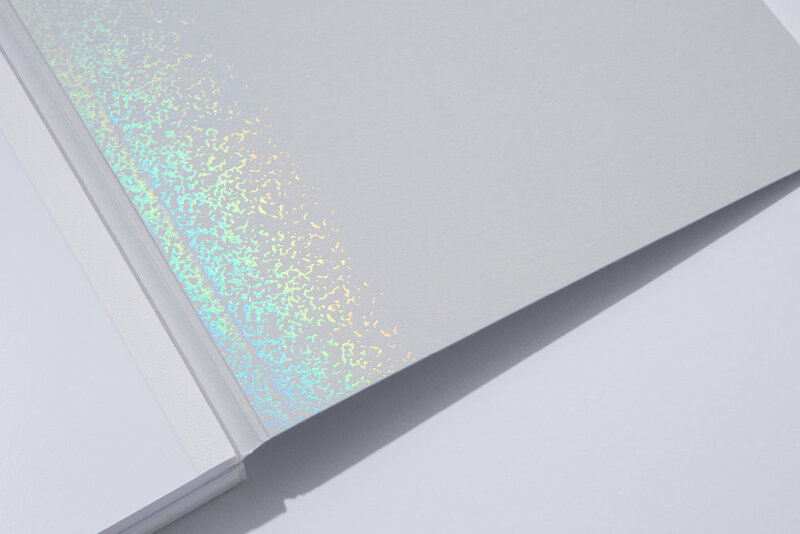 The cover featuring embellished Cool Grey Colorplan is hand folded with gluing of the front and back cover flaps prior to final trimming of the book. A unique folding cover brings together the two independent books of The Sub Divide into the one publication. Tipping of end papers and gluing into the unique 'W' shaped cover accommodates the two books and expands into the Photographers Index foiled in metallic blue. This, and all other embellishments across the publication, are by Avon Graphics. The text has been collated, folded and sewn into two individual books. Each of the two books housed within the cover have been backlined with white Wibalin, contributed by Nordale Graphics.